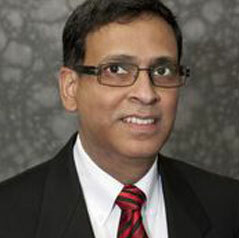 Dr. Nasaruddin is double Board Certified in Internal Medicine and Anesthesiology. In addition, he is fellowship trained in Pain Management and specializes in interventional techniques to relieve chronic pain. Currently, Dr. Nasaruddin manages a pain clinic located in Centegra Woodstock Hospital. Before moving to Woodstock, Illinois, he practiced both general anesthesia and pain management in Bloomington, Illinois. Dr. Nasaruddin’s goals are to improve overall quality of life, reduce pain and suffering, and provide quality anesthesia with the latest technological advances for the people of McHenry County.